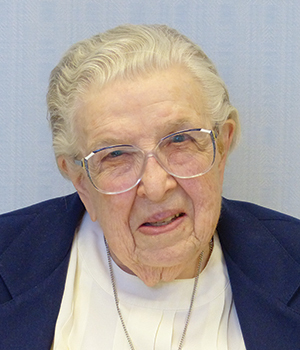 ​Read the memories shared at Sister Agatha Ann's funeral. Word has been received of the death of Sister ​M. 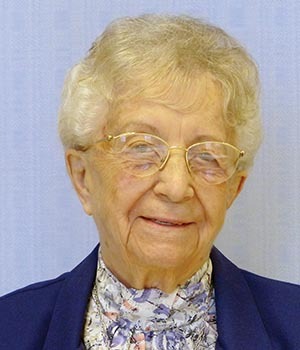 Agatha Ann (Mary Agatha Farrell), CSC, who died at ​7 a.m. on ​January 25, 2019, in ​Saint Mary's Convent, Notre Dame, Indiana. Sister ​Agatha Ann entered the Congregation from ​Los Angeles, ​California, on​ February 11, 1945. Her initial profession of vows took place on ​August 15, 1947. 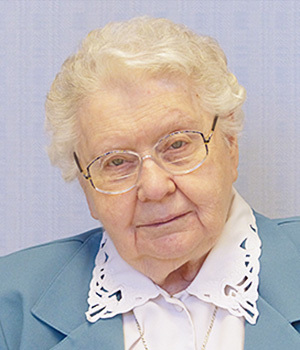 As Sister M. Agatha Ann, she began her ministry in 1947 in elementary education in Catholic parochial schools ​throughout California and Utah, moving from the classroom to the principal’s office. From 1970 to 1975, while serving as principal, she earned her California license to direct day care-nursey schools. 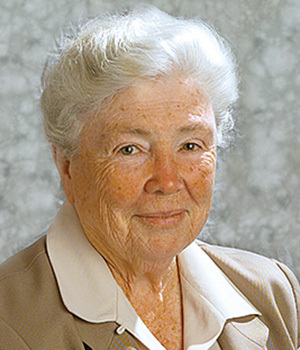 From 1975 to 1977, Sister Agatha Ann was director of personnel in the Department of Education for the Archdiocese of San Francisco. During those years she also worked in special education in public schools in the Daly City School District. Anyone who saw her doing business over the phone would have thought it all looked easy as she spoke with a broad smile. 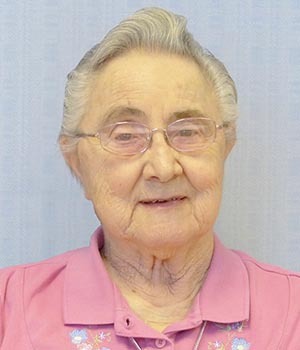 She had wonderful organizational skills, enjoyed being with people and was a good listener. It’s no wonder that Sister​ Agatha Ann transitioned to pastoral care in 1977 at Holy Cross Hospital, Salt Lake City, Utah. 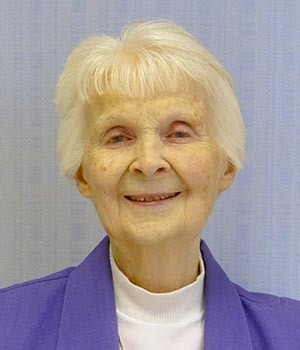 Though she was there only a year, she returned to pastoral care and chaplaincy from 1991 to 1999 at Providence St. Elizabeth Care Center, North Hollywood, California. 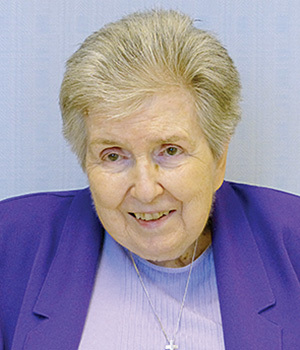 In the intervening years, from 1978 to 1990, Sister Agatha Ann ministered in several parishes working with the elderly in Southern California and in the Seattle area. Sister retired first to Saint Catherine by the Sea Convent, Ventura, California, in 2002, moving in 2011 to Saint Mary’s Convent, Notre Dame, Indiana, where she died. 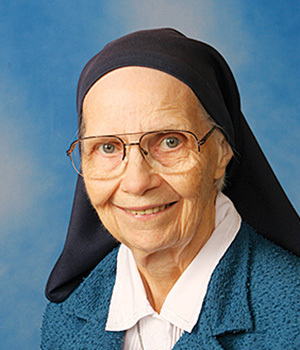 Her older sister, Sister Estelle Marie (Farrell), survives her at Saint Mary’s. Their fine Catholic parents, Louisa Hutson and Jeremiah Farrell, raised seven children in Los Angeles at Saint Agnes Parish, where they were taught by Holy Cross sisters. 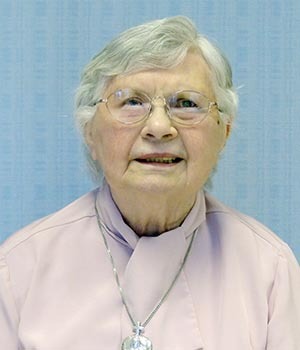 May Sister Agatha Ann rest in peace​.